As the current Google Doodle is reminding us, today is the first day of the 2012 Summer Olympics in London. And since this is an event of epic proportions, watched by millions of people all over the world, we are sure that at least a small fraction of our readers are currently in the U.K.'s capital excited to see the action in person. For all of you we have one piece of advice: keep an eye on your phone, unless you want to wave it goodbye. 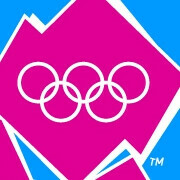 According to a recent study, about 67,000 mobile phones will be lost or stolen during the Olympics. That is a substantial amount of handsets parting with their owners over a period of 2 weeks or so. However, the figure is not that far from what is typical for London. On average, about 50,000 phones are stolen or lost across the city over a typical 2-week period. The spike is, of course, due to all the people who will be visiting London for the Olympics. It is estimated that the city's population might rise by up to a third for the duration of the event. The study also predicts that the owners of those lost or stolen phones will part with a total of 214.4 terabytes of data. So if you are staying in London over the next couple of weeks, be sure you keep your phone in a safe place. You don't want it to end in the wrong hands, now, do you? just root your android and install avast. Problem solved.